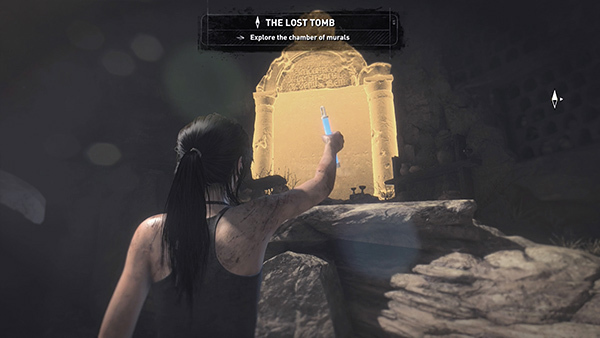 Upon entering the tomb, Lara discovers a monolith. 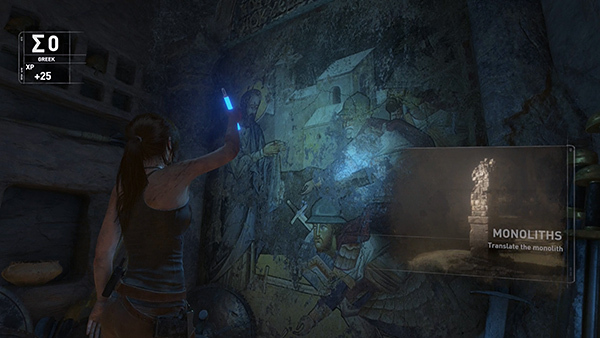 In order to make sense of the Greek text, you must first improve Lara's language skills by reading MURALS and DOCUMENTS. You'll find several murals in this area. 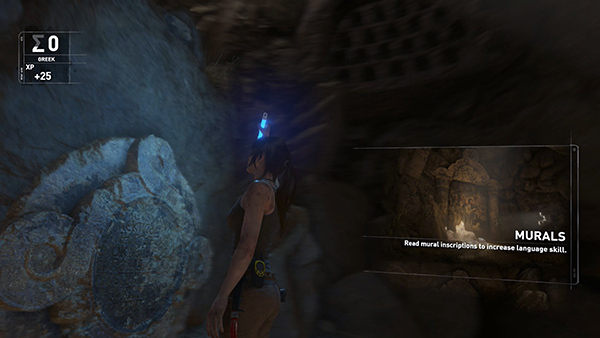 If you press in on the right stick or Q on the keyboard to activate Survival Instinct, the murals will glow. 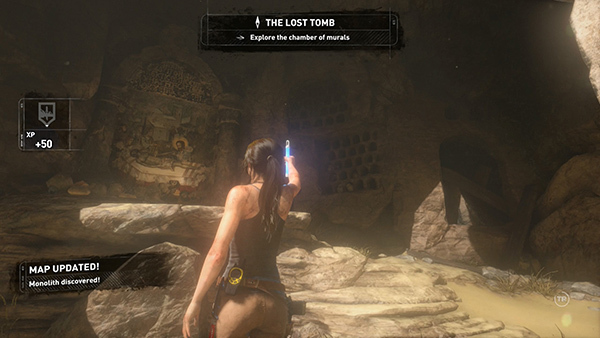 This one is directly ahead following the monolith cutscene. 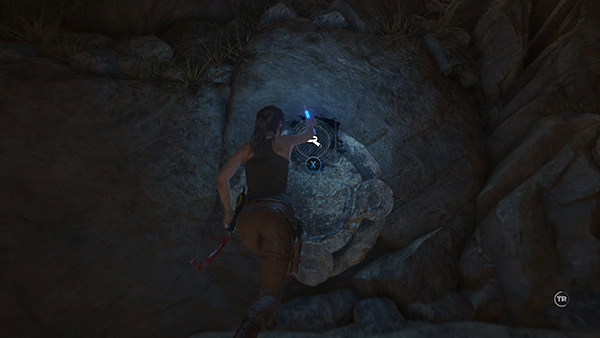 A smaller, round one is on the wall to Lara's left. A third is in the alcove behind you. Approach each one and press Interact (X/E) to read it. 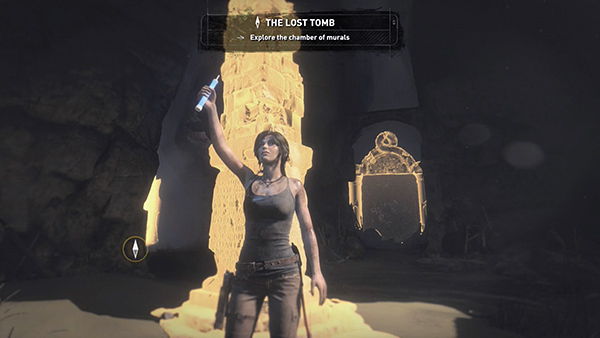 Lara will gain some knowledge of the prophet, as well as a few XP, and her proficiency in Greek will increase incrementally, as indicated by the language skill icon at the top left corner of the screen. 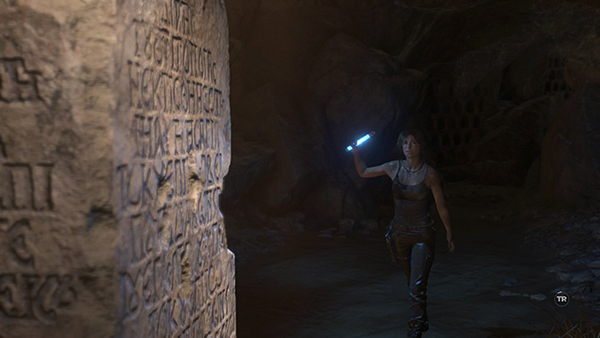 Once you have read these three, Lara will be able to translate level 1 Greek, enabling her to decipher the monolith. 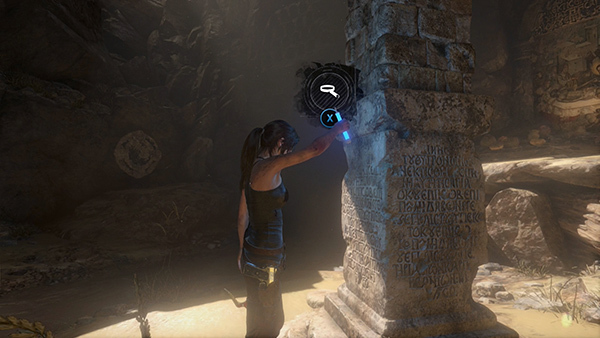 Approach it and press Interact to read the inscription. 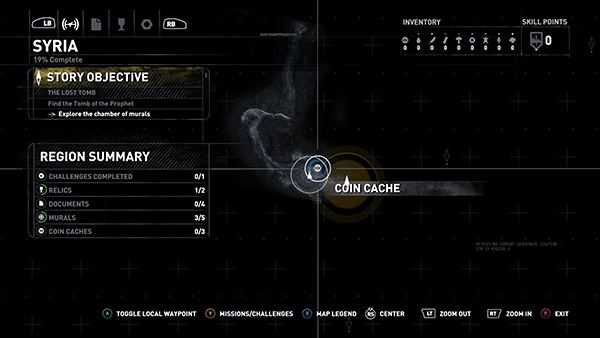 Doing so updates your level map, revealing the locations of several coin caches. 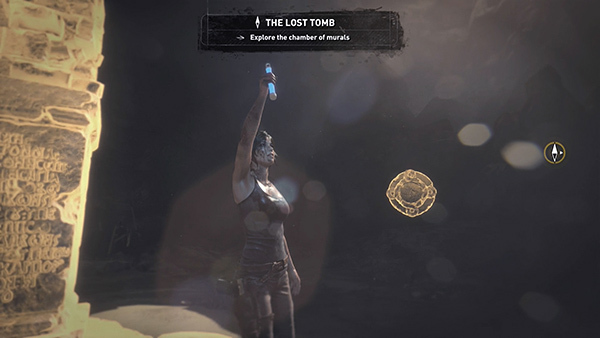 To use this information, press the View/Back button to open the map, center the cursor on the symbol for the coin cache, and press A/Enter to set a local waypoint/player beacon. 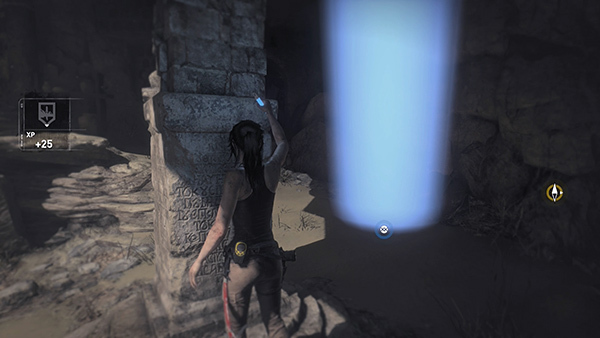 Now, when you return to the game and activate Survival Instinct, a blue beacon indicates where the coin cache is buried. 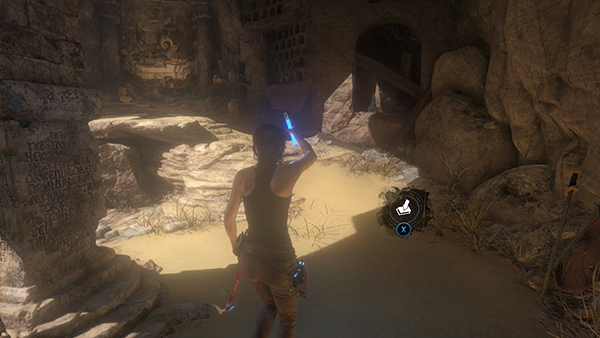 Go to that spot and press Interact to dig up the treasure!